running north/south, with Calles 60 and 61 bounding the "Plaza Grande" in the heart of the city. The more affluent neighborhoods are located to the north and the most densely populated areas areto the south. 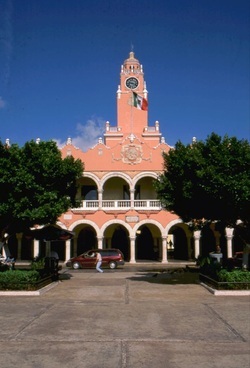 The Centro Historico area is becoming increasingly popular with American and other expats who are rescuing and restoring the classic colonialstructures. The Los Angeles Times recently noted this surge of interest inrescuing Mérida's historic downtown. 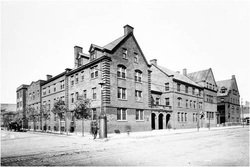 Hull House, Chicago's first and the nation's most influential settlement house, was established by Jane Addams and Ellen Gates Starr on the Near West Side on September 18, 1889. By 1907, the converted 1856 mansion had expanded to a massive 13-building complex covering nearly a city block. The new structures included a gymnasium, theater, art gallery, music school, boys' club, auditorium, cafeteria, cooperative residence for working women, kindergarten, nursery, libraries, post office, meeting and club rooms, art studios, kitchen, and a dining room and apartments for the residential staff. Attracting thousands of people each week from the surrounding neighborhood, the expanded Hull House complex provided space for the settlement's extensive social, educational, and artistic programs. Under Addams's skillful leadership, Hull House achieved recognition as the best-known settlement house in the United States and became the flagship of a movement that included nearly five hundred settlements nationally by 1920.